If you work in an office, you’ve likely had to deal with office politics—they’re unavoidable. Even the most well-run businesses involve some level of politics, no matter how strong the company culture. The nature of corporations, and teams in general, leads to politicking and jockeying for power. Office politics exist for a few reasons: workers have varying levels of power, employees are competing for limited resources (promotions, bonuses, etc. ), and people and teams have different goals or objectives. While nobody particularly enjoys dealing with office politics, they come with the territory of working in the office environment and if you want to be successful in your career you’ll have to learn how to deal with them appropriately. With that being said, there are definitely right and wrong ways to handle the office politics you encounter in your day-to-day work. 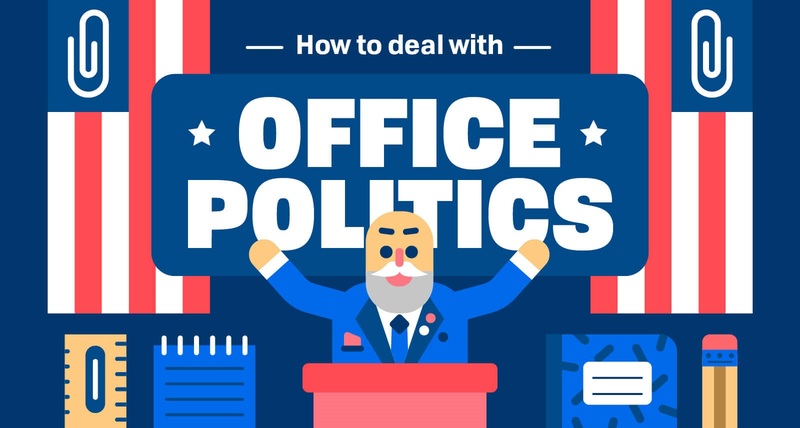 These tips should help you navigate the murky waters of office politics.